On September 20, Wells Fargo CEO, John Stumpf denied orchestrated fraud after his retail sales organization opened more than 2 million fake accounts. Hundreds of people will be fired, maybe thousands. Millions of dollars will be lost along with who-knows how many current and potential future customers as well as Wells Fargo’s reputation as a trustworthy organization. But, I disagree. 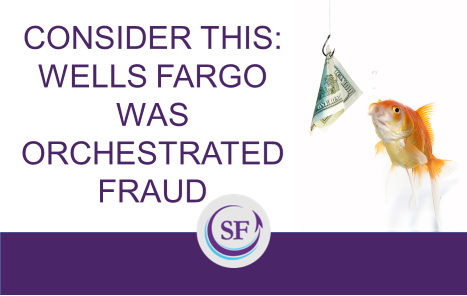 What happened at Wells Fargo is orchestrated fraud. Stumpf and his organization promoted a workplace defined by metrics without meaning and a desire to win at all costs. Wells Fargo executives are responsible for shaping a workplace based on the belief that the purpose of business is to make money rather than serve. Had they understood that money is a byproduct of employee work passion and customer devotion, they might not have courted fraudulent behavior by pressuring salespeople with bribes in the form of incentives and pay-for-performance schemes. Through their traditional—and outdated beliefs about motivation in the workplace, they fostered fraud by making numbers a priority over doing the right thing. There is a direct connection between Wells Fargo’s outdated carrot-and-stick motivation tactics and the win-at-all costs immoral behavior exhibited by thousands of their sales reps. This focus on winning for all the wrong reasons was their undoing, as it was with Enron, Volkswagon in 2015, and Gov. Christy’s Bridgegate. 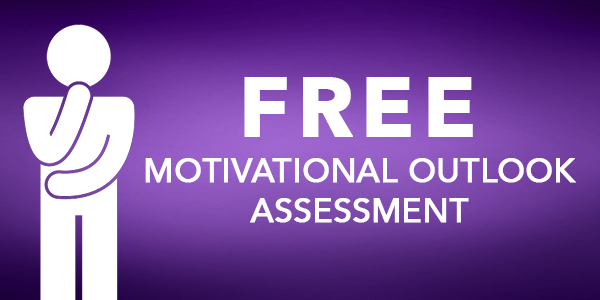 It is time leaders take responsibility for creating an environment strewn with fatal distractions—external motivators and imposed pressure based in fear—that entice people into thinking that immoral behavior is okay. Notice I use the term “immoral” behavior and not “unethical” behavior. There’s a difference. Ethics are the collective values held by a group to which you belong. Morals are your personal values. When an organization claims values, but sets up systems that don’t promote those values, it has no ethics. How can an employee be unethical in an organization without ethics? But, in the day-to-day practice, were sales reps reminded of this value? Given the scandal, I cannot imagine managers ever asking: How have you lived Well Fargo values? Or, saying: Tell me about how you built trust with a customer today. But I am willing to bet that sales managers regularly asked: How many calls did you make today? How many depositors did you sign up today? What’s the percentage increase in your numbers this week? Given the scandal, I can imagine salespeople with their eye on their bonuses, incentive trips, and sales rankings. If they were “losing,” I imagine they were afraid of losing their jobs. In either case, their attention was more on making their numbers than serving the customer—which, ironically would have probably resulted in making their numbers. But it isn’t just managers who perpetrated fraud. It is a sad statement that individuals were so morally bankrupt they didn’t stand up and say, “I won’t do this.” Given the lack of ethics or espoused values that were left unsupported or unfulfilled by systems, processes, and procedures, people were left to their own moral compass—and regretfully their compasses failed to point True North. Individuals obviously weren’t encouraged by their managers to explore how their values or noble work-related purpose linked to their goals—but, nothing was stopping them from doing it for themselves. Alas, they caved into greed and fear. 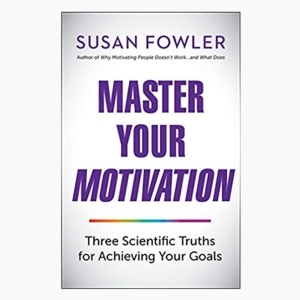 Compelling science proves that traditional methods of motivation in the workplace don’t yield the short-term or sustainable results they are designed to deliver. Tragically, Wells Fargo is another example of how sub-optimally motivated people do the wrong things for the wrong reasons. More tragic, too many organizations should be acknowledging: There, but for the grace of God, go we.